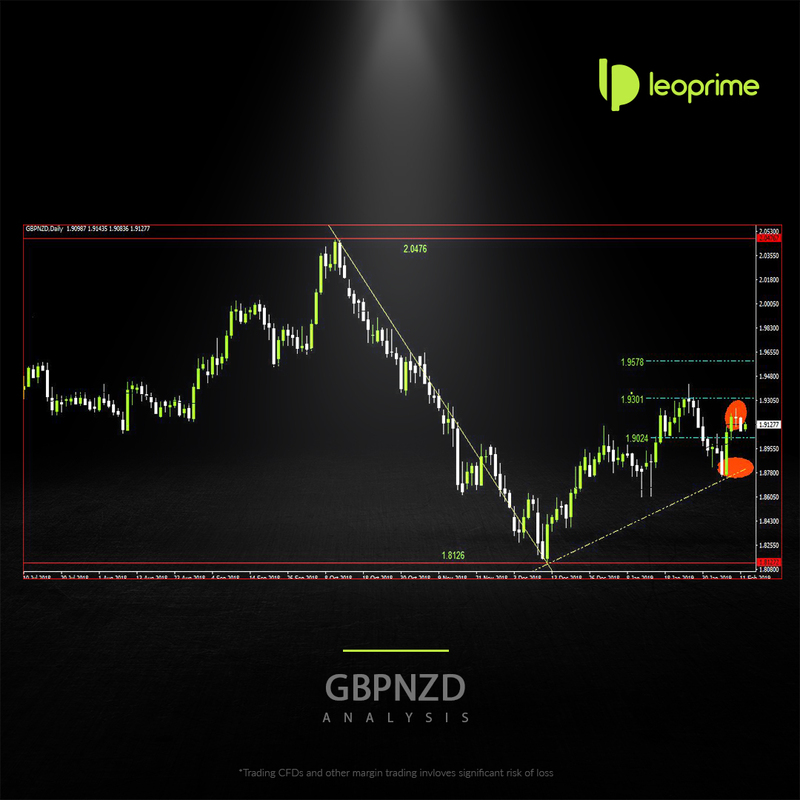 GBP/NZD aggressive, yesterday’s spinning top is a good sign of indecision and potential reversal, and if today’s candle closes red, you could look to take a short play at the market. For the less aggressive, there are two other setups to check out: first, a pullback higher to the minor area of interest around 1.9600 and 61% Fib could draw in resistance for a potential short play, especially if stochastic rises back into overbought territory. Second, if there is no pullback and the pair drops from here to break the rising ‘lows’ pattern, that could be confirmation of the return to the downtrend to watch out for.